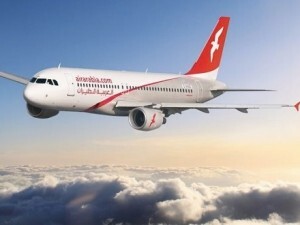 Air Arabia has announced the introduction of its new European destination, Prague in Czech Republic, direct from Sharjah. 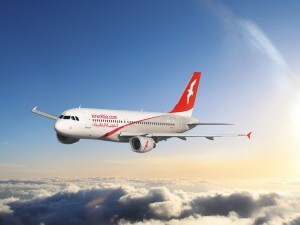 Air Arabia’s inaugural flight to the city will commence on December 11, 2018. The 6 hour 50-minute flight will operate five times per week, every Tuesday, Wednesday, Thursday, Saturday and Sunday. On Tuesdays and Sundays, the flight will depart Sharjah International Airport (SHJ) at 08:00 hours and arrive at Prague Václav Havel Airport (PRG) at 11:50 hours, and on the return leg, the flight will depart from PRG at 12:35 hours and land at SHJ at 21:40 local time. On Wednesdays, Thursdays and Saturdays, the departing flight with leave from Sharjah at 15:30 hours and arrive in Prague at 19:20 hours; the return flight will depart Prague at 21:05 and arrive in Sharjah the following morning at 06:10 hours. Adel Al Ali, Group Chief Executive Officer, Air Arabia, said, “With the launch of the Sharjah to Prague route, we aim to offer our passengers the chance to discover the colorful and historic capital city, our newest destination in Europe to be available direct from the UAE.” A historic city famed for its Old Town Square and elaborately constructed Baroque buildings, Prague is the capital and largest city in the Czech Republic and one of the most popular touristic destinations in Europe. 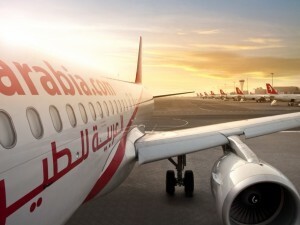 Air Arabia signed a lease agreement for six Airbus A321neo Long Range aircraft with the Los Angeles-based Air Lease Corporation. These additional aircraft will join Air Arabia’s fleet starting 2019 and will help the airline better serve its existing network. 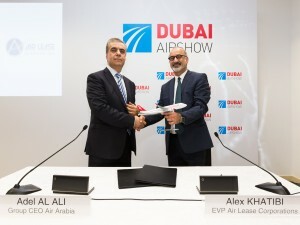 The agreement was signed between Adel Al Ali, Group Chief Executive Officer, Air Arabia and Alex Khatibi, Executive Vice President, Air Lease Corporation on the sidelines of Dubai Airshow. Air Arabia’s new A321neo LR aircraft will feature 215 seats per aircraft while maintaining Air Arabia’s industry leading seat pitch that customers currently enjoy. 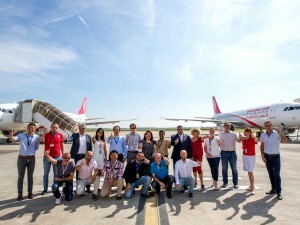 Adel Al Ali, Group Chief Executive Officer, Air Arabia commented, “We continue to witness growth in passenger traffic across our hubs and remain focused on our business model to provide affordable fare and value for money to passengers.” The new A321neo LR will join Air Arabia’s existing fleet of 50 A320 aircraft that serve over 133 routes from five hubs in the UAE (Sharjah and Ras Al Khaimah), Morocco, Egypt and Jordan. 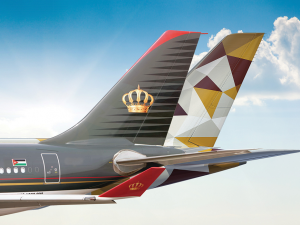 The Chairman of Etihad Aviation Group, His Excellency Mohamed Mubarak Fadhel Al Mazrouei, confirmed the appointment of Tony Douglas as Group Chief Executive Officer, who will join the company in January 2018. Douglas joins Etihad from the United Kingdom’s Ministry of Defence, where he has served as CEO of the Defence Equipment and Support department, responsible for procuring and supporting all the equipment and services for the British Armed Forces. 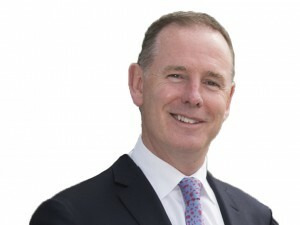 In the UK, he held senior positions with airport operator BAA, and as Chief Operating Officer and Group Chief Executive designate of Laing O’Rourke. His roles under airport operator BAA included Managing Director of the Heathrow Terminal 5 project, Group Supply Chain Director, Group Technical Director, and CEO of Heathrow Airport. Previously, Douglas held senior positions in the UAE, most notably as CEO of Abu Dhabi Airports Company and as CEO of Abu Dhabi Ports Company where he was responsible for the successful delivery of Khalifa Port. As Group CEO, Mr. Douglas will work with the Board and leadership team to expand and implement a range of strategic initiatives to position Etihad for sustained success in an increasingly competitive regional and global aviation market. 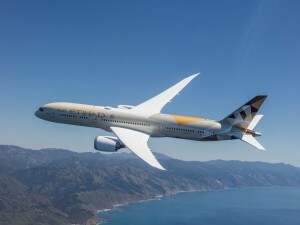 The divisional CEOs will report directly to Douglas, including Peter Baumgartner, CEO of Etihad Airways; Chris Youlten, Managing Director of Etihad Airport Services; Abdul Khaliq Saeed, CEO of Etihad Airways Engineering; Gavin Halliday, Managing Director of Hala Group; and Robin Kamark who joins as CEO, Airline Equity Partners in October 2017.